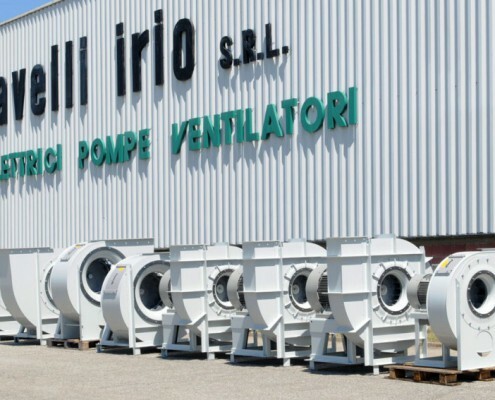 Pneumatic conveying, suction of dust, flours, wastes from first and second grain cleaning. 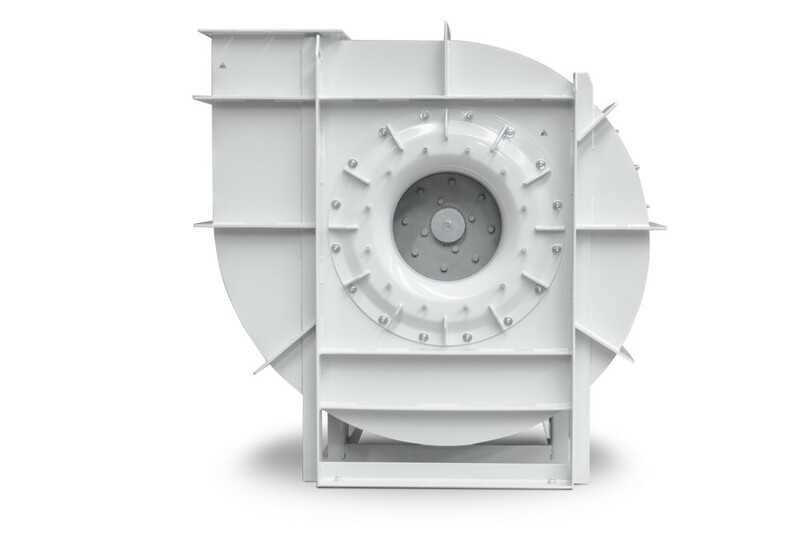 High efficiency backward-curved blades impeller. 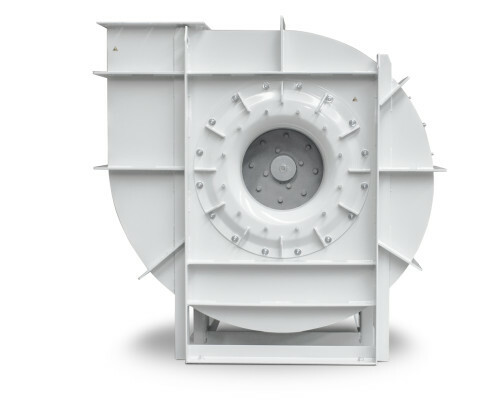 The standard supply foresees the use of different types of fans to make up for all the processing phases of the grain, to move product from the raw state to the final state. During the different stages of the process, depending on the flow rate requirements and the Pstatic measured at the suction inlet, they are necessary in various sizes and with special features. All of them are installed in Drive Arrangement 4 (direct coupling). Usually, the supply also includes axial fans which are able to dispose high flow rate with low loss (high performance). The industrial application is not easy because fans have to transport the product accurately and continuosly without damages. 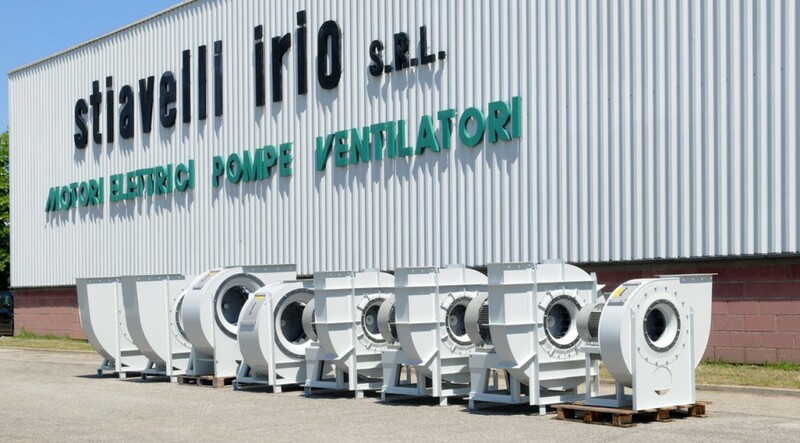 It works with a series of pipes, cyclones, air filters with a pressure of 15000 Pa, at 500 m a.s.l., and a room-temperature of 45°C. The flow rate of fans is about 20,000 m3/h with an electrical output of 160 kW and power supply at 60 Hz. The power of supply at 60 Hz has influenced the design of the fans due to the impeller’s peripherical speed, therefore loads remain on the bearings of the electric motor, since fans are in Drive Arrangement 4. 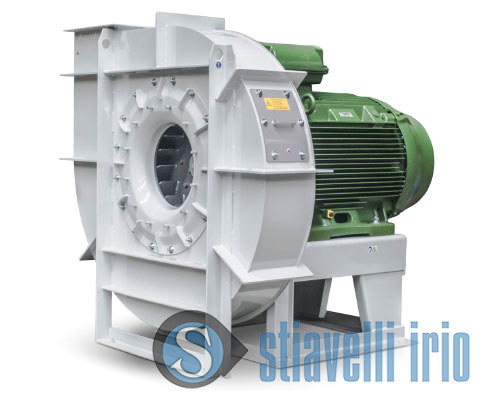 The motor is directly coupled to the fan: the dynamic balancing of the impeller has been particularly taken into consideration. The various precautions taken, such as inspection door, components and painting in RAL 7036, made of powder coating then fixed in the oven, make these fans ideal for the most demanding application in different fields. 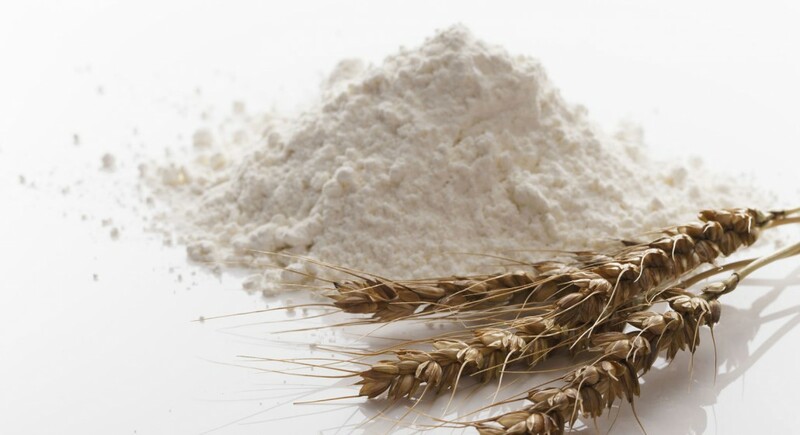 Systems and plants for flour production, treatment processes, grain handling, storage and packaging.